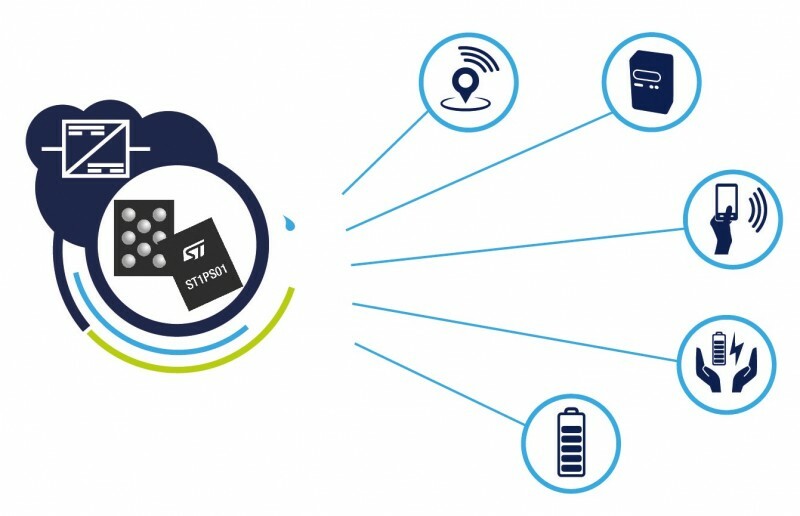 STMicroelectronics has announced its ST1PS01 step-down converters. The devices are engineered for small size, low quiescent current and high efficiency at all values of load current, to save energy and real-estate in keep-alive point-of-load supplies and IoT devices such as asset trackers, wearables, smart sensors and smart meters. Leveraging synchronous rectification, efficiency is 92% at 400 mA full load and 95% when delivering just 1 mA. Power-saving design features keep the quiescent current to a miserly 500 nA and include a low-power voltage reference. There is also a pulse-frequency counter for controlling converter current at light load, with two high-speed comparators to help minimize output ripple. Integrated feedback-loop compensation, soft-start circuitry and power switches ensure a space-saving solution that requires just a few small-outline passives to complete the circuit. The typical inductor value is 2.2 µH. In addition, output-voltage selection logic not only saves external voltage-setting components but also gives flexibility to configure modules digitally at manufacture or let the host system change the output voltage on the fly. Eight variants, each with four optional output-voltage settings, allow a choice of regulated outputs from 3.3 V to 0.62 5V. All models feature a Power-good indicator. A wide input-voltage range, from 1.8 V to 5.5 V, further enhances flexibility for designers by allowing various battery chemistries or configurations as simple as a single lithium cell and extending runtime as the battery discharges. ST1PS01 regulators are also ideal for devices powered from energy-harvesting systems and feature a low noise-architecture that allows use in noise-sensitive applications. An evaluation board, STEVAL-1PS01EJR, helps developers quickly understand how to take advantage of the ST1PS01’s high energy efficiency and feature integration. ST1PS01 regulators are now in full production, packaged as 400 µm-pitch flip-chip devices measuring just 1.11 mm x 1.41 mm, and priced from $0.686 for orders of 1, 000 pieces. Technologies from U‑blox and TransSiP have been selected for the recently announced PowerWatch 2 from MATRIX Industries. Power Watch 2 claims to be the world’s first GPS smartwatch that you never need to recharge. The smartwatch embeds the ultra‑small, ultra‑low power U‑blox ZOE‑M8B GNSS receiver. Meanwhile, TransSiP’s PI technology ensures energy harvested is used at maximum efficiency. 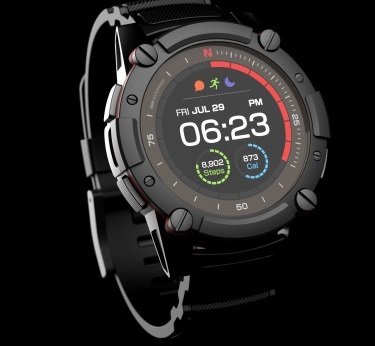 The PowerWatch 2 does away with cables and external batteries by continually topping up its battery using thermoelectric energy generated from body heat as well as solar energy. The watch can connect to your smartphone and display notifications on your wrist, while tracking activities and visualizing them using dedicated iOS and Android apps, as well as with popular third-party health and fitness platforms. The PowerWatch 2 delivers location tracking using the low‑power U‑blox ZOE‑M8B GNSS receiver module that consumes as low as 12 mW. Packaged as a (System‑in‑Package), the 4.5 x 4.5 x 1.0 mm module helps achieve the watch’s comparatively low 16‑mm thickness. And concurrent reception of up to three GNSS constellations means that it delivers high accuracy positioning in challenging situations such as urban or dense forest environments and when swimming. Satellite based positioning is typically the most power‑hungry process on a sports watch. Providing highly efficient conversion of harvested energy into a very quiet supply of DC power, TransSiP PI enhances the ability of the ZOE‑M8B GNSS receiver module incorporating U‑blox Super‑E technology, to strike an ideal balance between power and performance. Working on a tight power budget, the watch supports 30 minutes of continuous GNSS tracking per day, with unused time accumulating in the watch’s battery pack—powering two hours of location tracking every four days. Over the next couple years, power will clearly rank as a major design challenge for the myriad of edge devices deployed in Internet of Things (IoT) implementations. Such IoT devices are wireless units that need to be always on and connected. At the same time, they need low power consumption, while still being capable of doing the processing power needed to enable machine intelligence. The need for extreme low power in these devices goes beyond the need for long battery life. Instead the hope is for perpetually powered solutions providing uninterrupted operation—and, if possible, without any need for battery power. For their part, microcontroller vendors have been doing a lot in recent years within their own labs to craft extreme low power versions of their MCUs. But the appetite for low power at the IoT edge is practically endless. Offering a fresh take on the topic, I recently spoke with Paul Washkewicz, vice president and co-founder of Eta Compute about the startup’s extreme low power technology for microcontrollers. 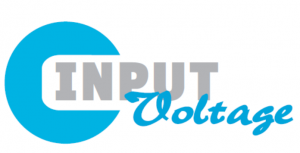 The company claims to offer the lowest power MCU intellectual property (IP) available today, with voltages as low as 0.3 V. Eta Compute has developed and implemented a unique low power design methodology that delivers up to a 10x improvement in power efficiency. Its IP and custom designs operate over severe variations in conditions such as temperature, process, voltage and power supply variation. Eta Compute’s approach is a self-timed technology supporting dynamic voltage scaling (DVS) that is insensitive to process variations, inaccurate device models and path delay variations. The technology has been implemented in a variety of chip functions. Among these are M0+ and M3 ARM cores scaling 0.3 V to 1.2 V operation with additional low voltage logic support functions such as real-time clocking (RTC), Advanced Encryption Standard (AES) and digital signal processing. The technology has also been implemented in an A-D converter sensor interface that consumes less than 5 µW. The company has also crafted an efficient power management device that supports dynamic voltage scaling down to 0.25 V with greater than 80% efficiency. According to the company, Eta Compute’s technology can be implemented in any standard foundry process with no modifications to the process. This allows ease of adoption of any IP and is immune to delays and changes in process operations. Manufacturing is straightforward with the company’s IP able to port to technology nodes at any foundry. Last fall at ARM TechCon, David Baker, Ph.D. and Fellow at Eta Compute, did a presentation that included a demonstration of a small wireless sensor board that can operate perpetually on a small 1 square inch solar cell. Attacking the problem from a different direction, another startup, Nikola Labs, is applying its special expertise in antenna design and advanced circuitry to build power harvesting into products ranging from wearables to sensors to battery-extending phone cases. Wi-Fi routers, mobile phones and other connected devices are continually emitting RF waves for communication. According to the company, radio wave power is strongest near the source—but devices transmit in all directions, saturating the surrounding area with stray waves. Nikola Labs’ high-performance, compact antennae capture this stray RF energy. Efficient electronics are then used to convert it into DC electricity that can be used to charge batteries or energize ultra-low power devices. Nikola’s technology can derive usable energy from a wide band of frequencies, ranging from LTE (910 MHz) to Wi-Fi (2.4 GHz) and beyond (up to 6 GHz). Microwatts of power can be harvested in an active ambient RF area and this can rise to milliwatts for harvesters placed directly on transmitting sources. Nikola Labs has demonstrated energy harvesting from a common source of RF communication waves: an iPhone. Nikola engineers designed a case for iPhone 6 that captures waste RF transmissions, producing up to 30 mW of power to extend battery life by as much as 16% without impacting the phone’s ability to send and receive data. Whether you address the challenge of extreme low power from the inside out or the outside in—or by advancing battery capabilities—there’s no doubt that the demand for such technologies will only grow within the coming years. With all that in mind, I look forward to covering developments on this topic in Circuit Cellar throughout 2018. Wiliot, a fabless semiconductor start-up company, has closed an investment round with Qualcomm Ventures and M Ventures. The announcement was made in conjunction with the opening of the Active & Intelligent Packaging Industry Association (AIPIA) Conference in Amsterdam where the company will make its first public presentation to leaders in the packaging industry. The latest investment round comes on the heels of a Series A Round financing effort that yielded $14m with forward-thinking strategic technology investors Grove Ventures, Norwest Venture Partners, and 83North Venture Capital. This first round closed in January, the month Wiliot was founded. In all, Wiliot has raised a total of $19 million in its first 10 months as a semiconductor company. 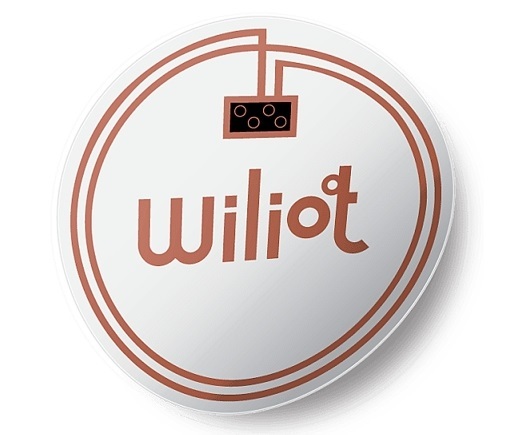 Wiliot, whose research and development arm is based in Israel, is on course to develop a wireless technology that will eliminate a reliance on batteries or wired power to vastly accelerate the Internet of Things with the vision of creating a world of “Smart Everything.” The new technology, which powers itself by harvesting energy from radio waves, enables a sensor as small as a fingernail, as thin as a sheet of paper, and an order of magnitude reduction in price and cost of maintenance. With proof of concepts scheduled to start in 2H 2018, and a delivery to market date in early 2019, Wiliot’s technology will revolutionize the current Bluetooth beacon marketplace which after more than five years has reached a floor on reductions in cost, size and ease of maintenance that have hindered their widespread adoption.